In response to The Daily Post’s weekly photo challenge Keeping a drone afloat depends on the craft’s battery and no air turbulence. Keeping a drone afloat depends on a powerful battery and little or no air turbulence, such as heavy windgusts in the sky. 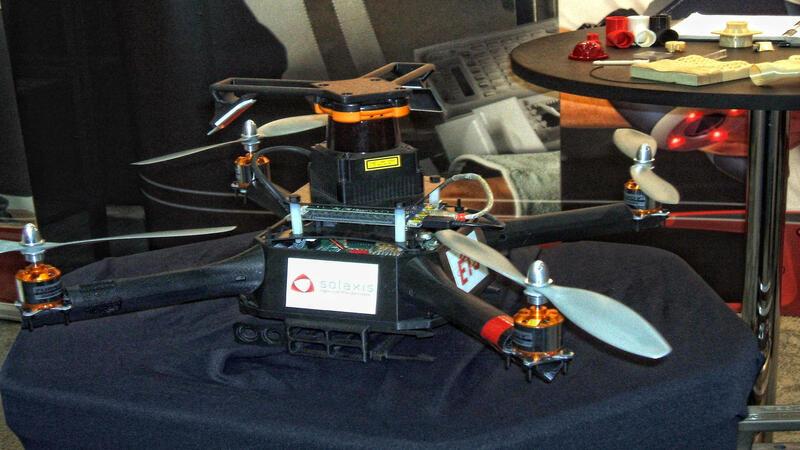 The picture above is one I took at the SME sponsored Montreal Manufacturing Technology Show a couple years ago of a small drone created by a company called Solaxis from Bromont, Quebec, Canada. They do 3D printing, scanning, and design of just about everything related in the manufacture of composite projects. The craft’s electronics including its motors are by EIS a large multi-product USA outfit in Atlanta, Georgia. 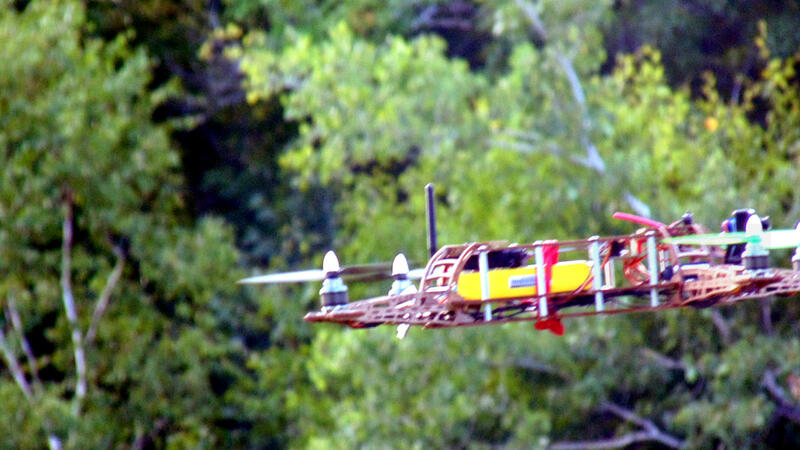 My next two pictures are of a homemade drone I saw in action and met its creator one late Summer Sunday up in the Eastern Townships. While attending a birthday party I saw the tiny aircraft buzzing around doing complicated maneuvers over a field adjacent to some woods. Once, as I watched, it flew out of sight over some tall trees populating a steep down hill. My first thoughts were that it was lost now however, a few moments later it reappeared zooming back towards its controller-creator. Later this drone continued flying until suddenly while hovering above the field perhaps thirty yards away it dropped like a rock and crashed behind some tall grasses. As the last picture shows damage was extensive and it was a write-off. My conversation with the owner revealed that it was afloat for thirty-eight minutes before all power was lost because the battery was dead.